3 fan speeds, 2 halogen lights, push button controls, Stainless Steel. (444448843) 560-905 (H) x 600mm (W) x 485mm (D). 560-905mm. Sigma & Omega cooker hood 60mm adapter collar. 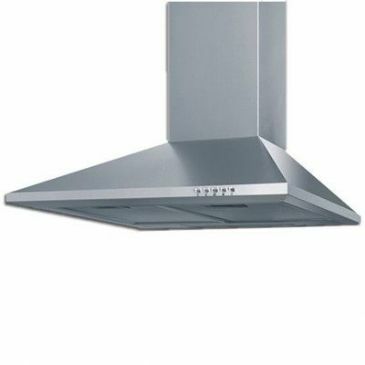 Beautifully crafted cooker hood made by a specialist company in Italy . The Sigma can either duct waste air through the roof of the vehicle in which it is fitted, or can be used to filter and recycle the air by means of the internal filter.